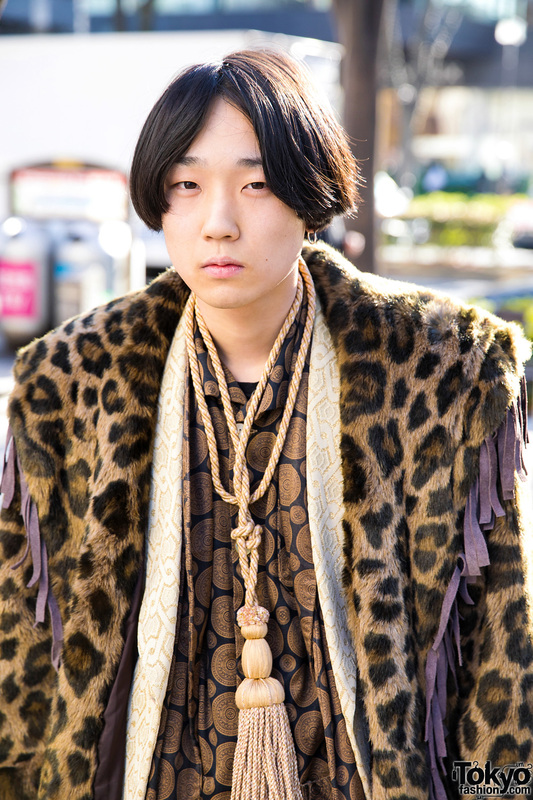 Here’s Reona, an 18-year-old student who stood out from the crowd in his mixed prints fashion style. 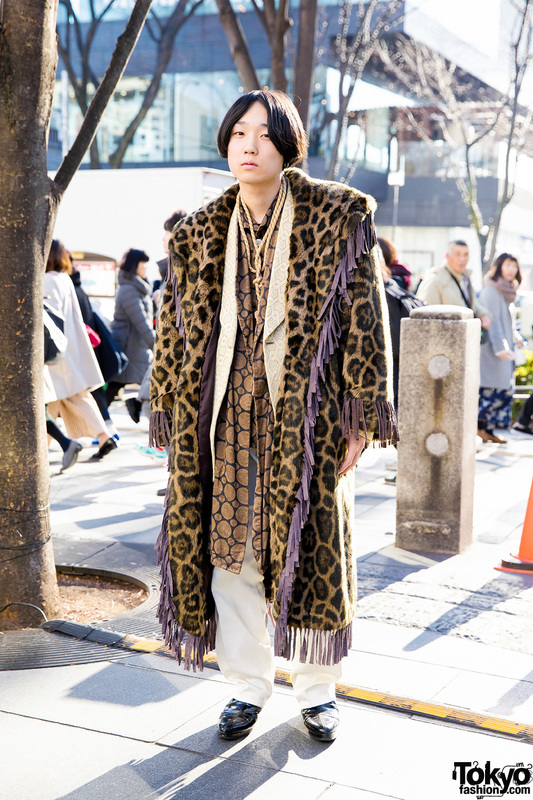 Reona – wearing vintage and resale items – donned a luxurious oversized leopard print coat with purple fringed hem, which he wore over a white and yellow textured blazer, and a medallion print silk shirt dress. 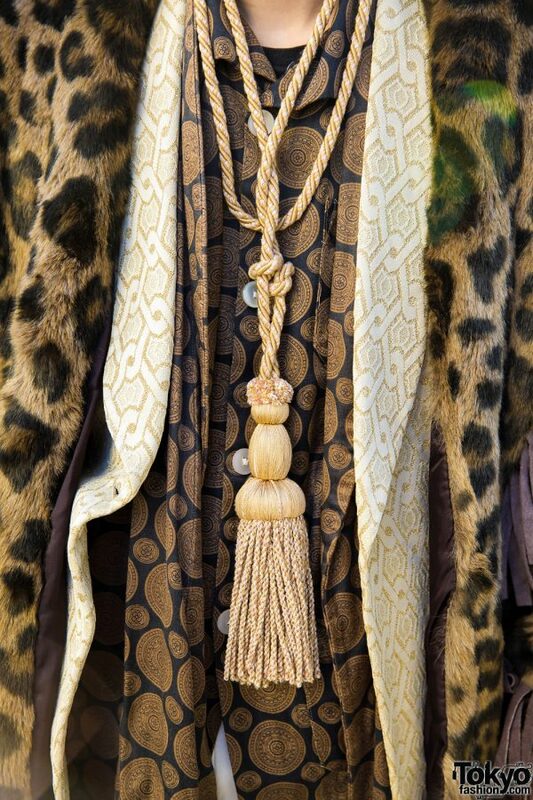 White pants, pointy leather shoes, and accessories such as small gold hoop earrings and a long roped tassel necklace finished off his statement street style. 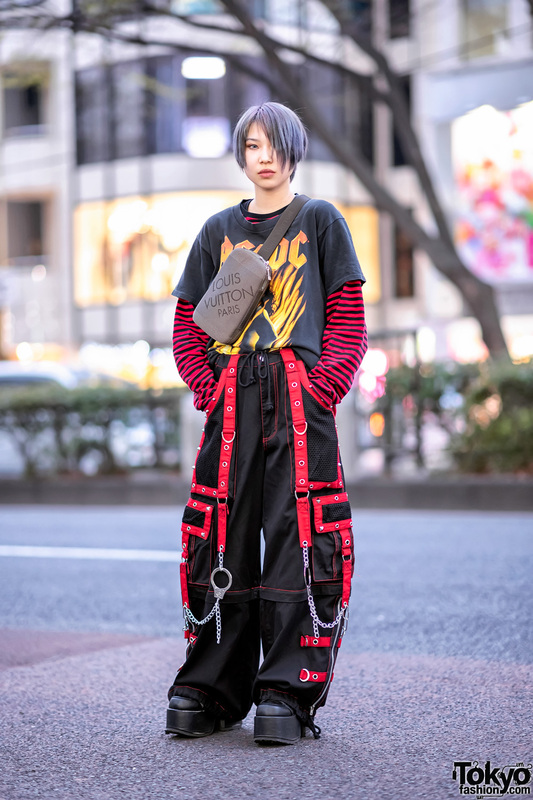 Reona is active on Instagram, check him out!